The harmonious blend of natural nutrients and innovative approach towards hair care in one product. Make your dreams of beautiful and healthy hair come true. Take care of it with Nanoil hair oil (one of three). Fresh breeze of nature on your hair? Nanoil hair oils combine three things: one hundred percent naturalness, perfect composition and lightweight formula. What is behind the success of a series of three Nanoil hair oils? It is simple. They correspond to different needs of hair and provide tailored care. Naturalness – all Nanoil hair oils are based on the best quality vegetable oils of organic origin. Two product contain 6 various oils and the third one – 9 natural oils. Their effects are improved by a complex of nutrients and the formula is completely free of parabens, silicones and preservatives. 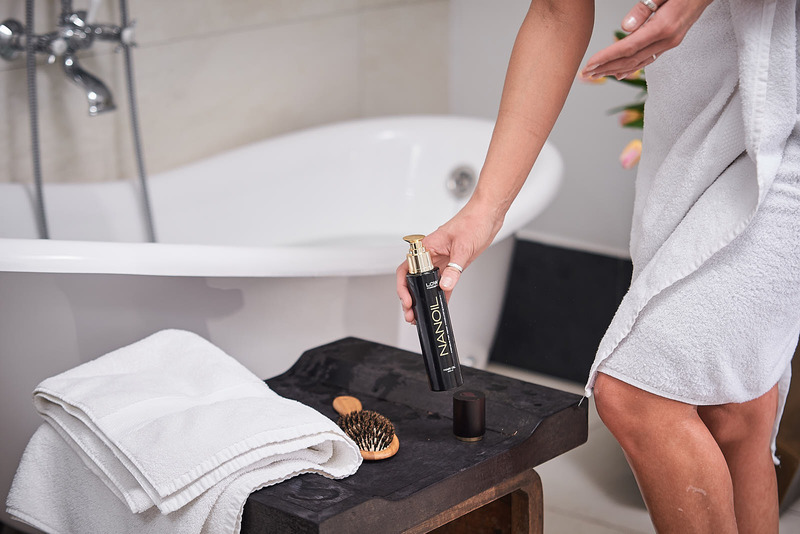 Perfect composition – Nanoil hair oils are the only oils available on the market that have been matched to particular hair porosities. The ingredients have been selected accordingly to the content of fatty acids. In order to penetrate hair easier, the particles of those fatty acids must be adjusted to the gaps in the outer hair structures. 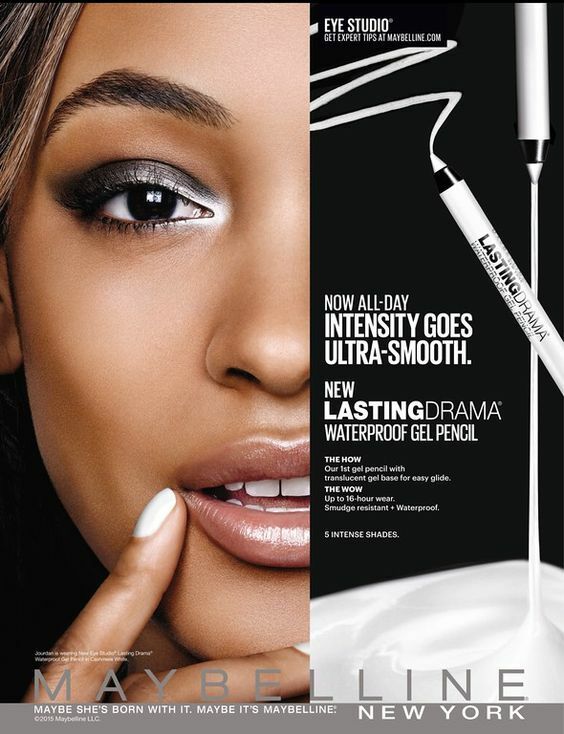 Lightweight formula – it is rare to encounter products on the base of greasy and thick oils that have lightweight and not overburdening formula. Nanoil hair oils do not boost sebum secretion because they are quickly absorbed. All that is left is the silky softness and a beautiful yet gentle scent. The secret of Nanoil’s effectiveness? Those are the possibilities that this product has to offer. The brand has approached the matter of hair care with a dose of innovation, and it pays off! The condition of our hair depends on how it is build, although we often do not realise it. What is hair porosity? What is its relation to hair oiling? Hair porosity can be low, medium and high. Those three steps determine the condition of our hair. The healthiest type is low porosity. Such strands take a long time to air-dry and are difficult to style. High porosity hair is the opposite – it is damaged, dry and frizzy. However, the most popular type is classified as medium porosity. In terms of hair anatomy, the differences are visible in the condition of the hair’s outer layer. If the overlapping scales are becoming loose, the strands start lacking moisture, and become rough. That is why providing appropriate fatty acids is so important. They will work as a bond of its protective layers. The largest amount of EFA is contained in natural oils. What oil is suitable for particular hair types? Natural hair care can be effective only if done consciously. If you want organic oils to work, it is necessary to match them to hair porosity. and apart from them, there are also substances that we find only in selected Nanoil oils: vitamin A, panthenol, silk, keratin and lanolin. Nanoil hair oils do not limit you in any way. They are designed for hair care of three types of porosity, so everyone will find something suitable for themselves. As they are all-natural, they are suitable for conventional hair oiling. Without fear, they can be applied to the entire hair or only to selected parts – to the ends and the scalp. 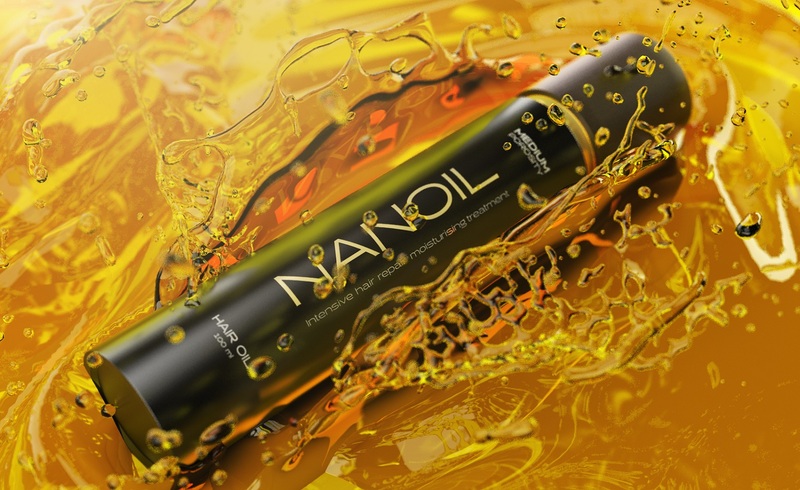 Nanoil hair oil has no comedogenic substances and does not weigh hair down. It can be used wet or dry, hot or cold, before or after washing, to facilitate styling or maintain its effects. Maximum effects, safe and non-limiting? 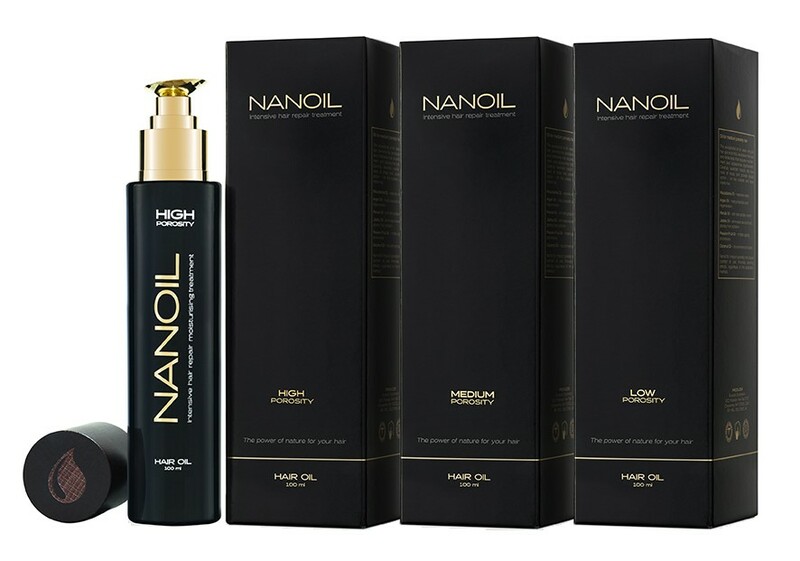 NANOIL HAIR OILS. I’m not over the moon, but it’s pretty good. Maybe I should choose the medium porosity one because I bought oil for low porosity, and my hair got frizzy. But the composition seem really very good.